Just Listed: 99 Calle Sol #9 - Pristine and Private Rancho San Clemente Home! Just Listed: 20 Marblehead Place - Gorgeous Home in Beacon Hill Highlands! Gorgeous Home in Beacon Hill Highlands! Nestled in the quiet neighborhood of Beacon Hill Highlands this three bedroom, two and a half bathroom Coral Sea model offers gracious living spaces both inside and out. Follow the walkway lined with lush landscaping to the welcoming front entrance. Step inside onto rich wood laminate flooring and take in the beautifully renovated interior including fresh paint, updated bathrooms and a gourmet kitchen. Entertain in the dramatic two-story living room offering large windows for plenty of natural light. The adjacent dining room is perfect for any occasion and features a trey ceiling and convenient access to the patio. Continue into the newer gourmet kitchen and prepare meals surrounded by stone countertops, crisp white cabinetry and a custom stone backsplash. A center island offers additional serving and prep space. Enjoy smaller meals in the sunny breakfast nook! Unwind around the fireplace in the family room or step through the French doors into the fully fenced backyard. Enjoy outdoor dining and grilling on the expansive patio surrounded by neat landscaping and mature trees providing the perfect amount of shade and privacy. Back inside, a convenient powder room completes the main level. The second level features a luxurious master suite featuring large sun-filled windows and a private deck overlooking the backyard. Recharge in the designer master bathroom complete with a whirlpool tub and double vanity for easy storage. Two additional bedrooms offer comfort and privacy for guests and share a nicely appointed hall bathroom. An attached two-car garage with a laundry area plus an outdoor storage area off of the deck are perfect for all of the extras! Residents of Beacon Hill enjoy access to three pools/spas, six lighted tennis courts, a sports field and children’s play area. Enjoy all this area has to offer including Dana Point Harbor, three world class resorts, theaters, shopping and restaurants plus this home is minutes from the beach! Just Listed: 25101 La Cresta Drive - Duplex with Big Ocean Views! Duplex with Big Ocean Views! Sparkling ocean and coastline views are waiting for you in this townhouse style duplex offering two beautiful three bedroom, two bathroom homes. This home is perfect for an investor as a complete rental or live in one unit and rent the other. Located in the desirable Lantern Village area of Dana Point, these multi-level homes offer a tremendous amount of living space inside and out. The Cape Cod exterior has been updated with newer siding and some new windows and sliders including dual glazed windows in the front. The thoughtfully designed open concept interior of both homes focuses on the incredible views plus skylights and solar tubes provide plenty of natural light. A wall of windows overlooking the ocean draws you in to the living room while a cozy fireplace creates a warm and inviting atmosphere for entertaining. Enjoy meals in the adjacent dining room or at the breakfast bar. Prepare meals in the bright and functional kitchen featuring a dishwasher, range, microwave, disposal and plenty of cabinetry for all of your cooking essentials. Tile countertops offer plenty of serving and prep space while recessed lighting completes the room. Two bedrooms provide comfort and privacy for guests and feature access to the patio. Step outside and take in the large outdoor entertaining area surrounded by lush landscaping. The lower level features a luxurious master suite complete with a fireplace and sitting area. End your day relaxing on the private balcony deck and taking in the ocean view. The master bathroom features a large vanity and walk-in closet plus a separate shower/tub combination. Each unit enjoys the convenience of an attached two-car garage and driveway plus an inside laundry area that can easily accommodate a side-by-side washer and dryer. Unit A has been recently refurbished and offers new plush carpet, vinyl wood-look flooring in the kitchen, entry and both bathrooms, fresh paint and a wood patio deck. Unit B features a tile foyer and a newer furnace (2015). Conveniently located minutes from the beach, Dana Point Harbor and Lantern Bay Park. Surrounded by excellent shopping and dining! Investors call for income details and start enjoying all the flexibility this home has to offer! Just Listed: 2967 Calle Frontera - Amazing Opportunity in a Perfect Location! Incredible opportunity to own this four bedroom, two and one half bathroom home located in the “The Coast” neighborhood. This Tradewinds model boasts approximately 2,500 square feet of living space on two levels featuring vaulted ceilings, skylights and two fireplaces. A brick walkway lined with lush landscaping leads to the covered front porch creating a welcoming first impression. Entertain in the spacious and bright living room complete with skylights and a vaulted ceiling that continues into the adjacent formal dining room. The dining room is perfect for any occasion and offers a beautiful view of the backyard. Prepare meals in the sunny and functional kitchen complete with double ovens and a large garden window overlooking the backyard. Enjoy smaller meals in the breakfast nook! The kitchen opens into the inviting family room featuring a grand stone fireplace plus sliding glass doors to the backyard. Step outside onto the large patio perfect for outdoor dining and entertaining or relax and enjoy the private backyard. Back inside, a powder room for guests and a convenient laundry room complete the main level. The second level features an inviting master suite featuring a spacious retreat with a cozy brick fireplace, a vaulted ceiling, walk-in closet and large sun-filled windows. The master bathroom offers plenty of dressing space and storage with a double vanity, soaking tub and separate shower. Three additional bedrooms are great for guests or a home office and share a full bathroom with a double vanity. An attached 3-car garage is perfect for vehicles and all of the extras. This home is located minutes from beaches, Shorecliffs Golf Course and San Gorgonio Park. Conveniently located close to Freeway 5 and surrounded by shopping and dining! Just Listed: Premier La Paz South Home! Open and inviting four bedroom, two full and one ¾ bath home located in desirable La Paz South offering excellent flexibility for all lifestyles. Follow the walkway through the manicured lawn, complete with automatic sprinklers, to the front entrance. A recently painted exterior, dual glazed windows and new tile roof make an excellent first impression. Step inside onto Tumbled Travertine tile flooring and take in the new plush carpet, raised panel doors and fresh paint. Entertain around the cozy stone fireplace in the living room complete with a vaulted ceiling and bright bay window with shutters. Prepare meals in the updated kitchen complete with Cherry wood cabinetry, granite countertops and stainless steel appliances. Sunlight pours in through the garden window in front of the sink while a tumbled marble backsplash and recessed lighting add the finishing touches. Enjoy meals in the sunny breakfast area or in the formal dining room where French doors lead to the patio for easy entertaining. An downstairs bedroom, complete with access to the private patio and a ¾ bathroom with outside access, offers tremendous flexibility and can easily be a master suite, guest suite or family room. A convenient laundry room with a storage closet completes this level. The second level features a relaxing master suite with a combination shower and jetted tub, marble flooring and large vanity. Two additional bedrooms are perfect for guests or a home office. All of the bedrooms offer ceiling fans and large closets with custom closet systems for easy storage. The private, fully enclosed backyard is surrounded by lush landscaping, a wood and slump stone fence and solar lights while offering plenty of room for outdoor activities and entertaining. The newly refurbished patio cover provides excellent shade for dining and grilling or find a spot around the fire ring. Do not miss the two-car attached garage with plenty of storage. A whole house attic fan, two-year old condenser with new ducting, newer water heater, dual stage furnace and solar electric generator combine to keep utility costs low. Spend the day exploring one of the nearby parks and walking trails or enjoy the convenience of Montanoso Recreation and Fitness Center and the Mission Viejo Library. This home is a short distance to schools, including award winning M.V. High School, and residents enjoy a Mission Viejo Lake Membership with all amenities. These months between winter and spring can feel like a drag, but they don’t have to! No matter what time of year it is, you can always find fun events and activities to enjoy in Orange County. The Hakola & Associates real estate team is here to bring you a list of activities for you to enjoy in the coming month. All you have to do is pick out the ones that sound most enjoyable to you! 1. At Los Alamitos ‘Race on the Base,’ there is a run or walk option for everyone in the family! These take place Feb. 23 and 24. If you’ve fallen into a couch potato routine this winter, this is a great excuse to get out in the OC sunshine and enjoy a 5K run or walk, a 10K run, a reverse triathlon, a glow in the dark fun run and more. There will also be live music, helicopters, planes and fun activities for the whole family. 2. The Irvine Park Railroad Anniversary Celebration will take place Feb. 24 and 25 at Irvine Regional Park and will celebrate 21 years of business! Enjoy $2 train rides, which is what they cost back in 1996. There will also be a whole slew of other $2 activities and concessions, such as carnival games, hot dogs, ice cream, bounce houses, hay rides and more. You can even pan for gold! 3. 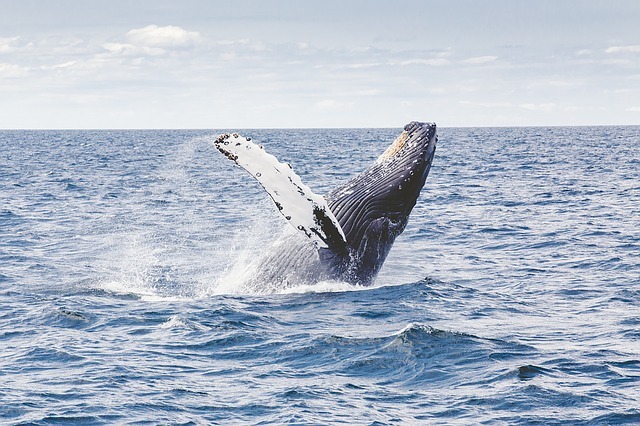 Whale watching tours have been happening all season long, with tons of whale spottings, but coming up March 3 and 4, and March 10 and 11, is the Festival of Whales in Dana Point! This event celebrates the return of California Gray Whales with a parade, sand sculpting, musical entertainment, concerts on the water, a block party, art shows, a pancake breakfast, barbecues, kids crafts, classic car exhibits and so much more. Catch a whale watching cruise from Dana Point any time as well! 4. For adults looking for a fun night out, purchase tickets to the El Presidente Ball at the El Adobe de Capistrano in San Juan Capistrano. This will take place on March 17 this year from 6 to 8 p.m. Journey back to the 1800s in early California and see how “the West was fun” with great food, old-fashioned fun and dancing under the stars to live country western music. 5. Did you know Huntington Beach’s sister city is Anjo, Japan? This is why they throw a Cherry Blossom Festival on March 18 at Central Park Bandstand! Enjoy a free day of fun, including Japanese food, music, dance, cultural performances, games and crafts for kids. You’ll feel like you traveled across the sea to Japan without actually leaving Orange County. See, you’ve got plenty to enjoy in Orange County this time of year! This is also a great time of year to achieve your Orange County real estate market goals. When ready to buy, sell or invest, contact us, the Hakolas & Associates team! We are here to help! As an Orange County homeowner, buyer, seller or investor, you’re probably wondering how the tax bill that passed at the end of 2017 affects you. Many provisions were added, taken away or altered, which directly impact the Orange County real estate market. Our Hakola & Associates team is here to fill you in on what you should know! 1. Standard deductions double. The new tax code doubles the standard deduction for individuals to $12,000 and $24,000 for joint filers. If you have few itemized deductions, this means you’ll get twice as much exempt in your federal taxation if you take a standard deduction. Income tax rates have also been reduced, starting in 2018. This is great news for anyone trying to save up a down payment on a home. 2. State and local tax deductions are capped at $10,000. The new law caps deductions, which includes any combination of property, income and sales taxes, at $10,000. Therefore, if you pay property taxes, especially along the coast where taxes may be higher, this will have an impact on your final tax bill. As this could affect California homeowners more than others, the state is currently trying to unveil legislation that will create a loophole around this cap. You can find more information in this Curbed article. 3. The cap on mortgage interest deduction drops to $750,000. This only applies to loans taken out after Dec. 14, 2017. Loans taken before this date can still deduct interest on mortgage debt up to $1 million. Homeowners can still refinance on mortgage debts that existed before Dec. 14 up to $1 million if the new loan does not exceed the amount refinanced. The interest on a home-equity loan can also still be deducted as long as the proceeds are used to substantially improve the home. 4. Homeowners can exclude up to $500,000 for joint filers or $250,000 for single filers for capital gains when selling a primary home if the homeowner has resided in the home for two of the past five years. An earlier proposal of the bill would have increased this requirement from five out of the last eight years, but this was removed from the final bill. Therefore, capital gains exclusions remain the same. 5. More changes include the elimination of the deduction of moving expenses except for military members, the doubling of the estate tax exemption to $11.2 million, and the retaining of the 4 percent Low-Income Housing Tax Credit, which funds about a third of affordable housing construction. 6. As far as Section 1031 goes for 1031 exchanges, the tax bill completely repealed personal property exchanges. A 1031 exchange can no longer be used for personal property, but can still be used for real estate assets. It has been retitled, “Exchange of real property held for productive use or investment.” Real estate exchanges are subject to the same rules and regulations as under previous law. As you can see, there is good news and bad news for the Orange County real estate market and homeowners. If you have more questions regarding these changes, please don’t hesitate to reach out to our Hakola & Associates real estate team! We are here to answer your questions or point you in the right direction. We can also help you buy, sell or invest, and we can assist with 1031 exchanges. We’re here for you in 2018! From one holiday to the next, now that Christmas is over, you may be wondering how you’ll ring in the New Year in Orange County. Our Orange County real estate team is here to help you out! If one of these upcoming NYE events in the OC strikes your fancy, purchase tickets if necessary, as some of them may sell out. Holiday Lights Cruises in Newport Beach/Newport Bay depart at 5:30, 7 and 8:30 p.m. They’ve been running throughout the holiday season and continue through NYE! These cruises are 75 minutes long and take off from Davey’s Locker. Reserve your spot! Laguna Cliffs Marriott Resort in Dana Point is hosting a New Year’s Eve party on Dec. 31. Choose a dinner at Vue Restaurant and enjoy a four-course menu for $118 per person and live music, or pay a $25 cover charge for the OverVue Lounge, no reservations necessary except for bottle service. First Night in Fullerton takes place from 7 p.m. until midnight on Dec. 31, primarily between Harbor Blvd. on the west and Pomona Ave. on the east in historic downtown. This free, alcohol-free event is great for families! Enjoy live entertainment, games, food, activities and more, finishing with fireworks. Pretend City Children’s Museum in Irvine is also hosting a kid-friendly event, the For Kids! Annual Noon-Year’s Confetti Countdown from 10 a.m. to 5 p.m. The museum will celebrate the new year at noon and different times of the day for different time zones. Confetti and activities for all to enjoy. Celebrate 2018 at Montage in Laguna Beach! The Loft has two seating options for a four-course holiday tasting menu. Studio has a reception and dinner with live music, dancing, party favors, midnight toast and more. 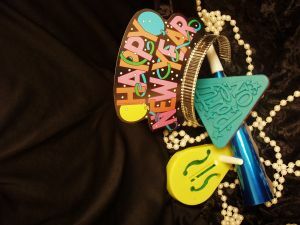 Paintbox has a NYE party for children ages 5-12, so adults can drop them off! The Ritz-Carlton will host a Raya New Year’s Eve celebration in Laguna Niguel on Dec. 31. From 6 to 10 p.m., enjoy a four-course holiday menu for $120 per person. On New Year’s Day, enjoy a Breakfast Buffet from 9 to 11:30 a.m., $80 per person. The Annual Surf City Splash & Pancake Breakfast will take place on Jan. 1, so start your holiday and year off bright and early! Pay $25 to enjoy a pancake breakfast, then jump into the chilly Pacific Ocean at noon! No wetsuits allowed! All sorts of prizes will be handed out. Enjoy celebrating New Year’s Eve and ringing in 2018 in Orange County! When you’re ready to achieve your Orange County real estate market goals, contact us, the Hakola & Associates team! We will be here in the new year to help answer your home-buying or home-selling questions, and to help guide you through the entire process until your real estate goals are achieved! Bring the kids to Santa’s Workshop this Wednesday, Nov. 29, at Mission Viejo City Hall! From 6 to 8 p.m., kids ages 12 and under can enjoy taking pictures with Santa, Mrs. Claus and the elves while enjoying a candy cane. This takes place every Wednesday, Saturday and Sunday through Dec. 20. Every Friday in December, bring the kids to Cookies and Milk with Santa at Irvine Spectrum Center from 11 a.m. to noon. Corner Bakery will supply the complimentary cookies and milk while supplies last. On Dec. 2, bring your pets for pet photos with Santa from 9 a.m. to noon. Santa is there daily for photos. Head Downtown Laguna Beach this Friday, Dec, 1, from 6 to 9 p.m. for Hospitality Night. Santa will arrive on a historic fire engine to light the pepper tree at City Hall at 6 p.m. Afterward, enjoy fun activities, holiday lights, shopping, ice skating, live entertainment and more. In Lake Forest this weekend, first enjoy Breakfast with Santa at City Hall! 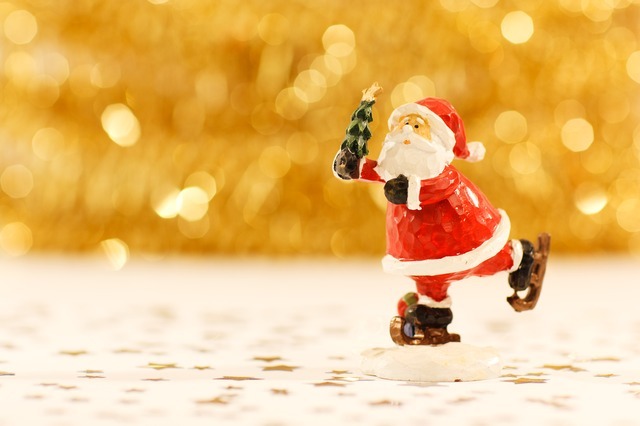 Choose a time slot and enjoy a home-style breakfast, cookie decorating, holiday melodies and storytime with Santa. Then from 3 to 6 p.m., head to Baker Ranch for Candyland Whimsical Holiday, with Santa and numerous fun activities. The Christmas Train is back in Irvine all December long! Head to Irvine Park Railroad and take a ride through Irvine Regional Park to meet Santa. There are activities at Santa’s Village while you wait for the train, and then at the North Pole, purchase treats and visit with Santa. Purchase tickets ahead of time! Bring the kids to see a kid-friendly version of The Nutcracker this weekend! Head to Newport Beach Central Library on Saturday, Dec. 2, for a narrated version by Festival Ballet Theatre, or head to Segerstrom Center for the Arts in Costa Mesa Saturday, for a version also made just for kids. Kaleidoscope in Mission Viejo takes place this Saturday from 5 to 7:15 p.m., with a festive Christmas Tree Lighting Ceremony, free children’s activities, holiday caroling and entertainment. In the morning, kids can greet Santa as he arrives to The Shops at Mission Viejo. There are tons of holiday events in Orange County this weekend, this is just a selection! Enjoy your holiday season, and when ready to achieve your Orange County real estate market goals, contact us. The Hakola & Associates real estate team is here to help you with your buying and/or selling goals year-round! When you invest in rental property in Orange County, there are many benefits you should know about! 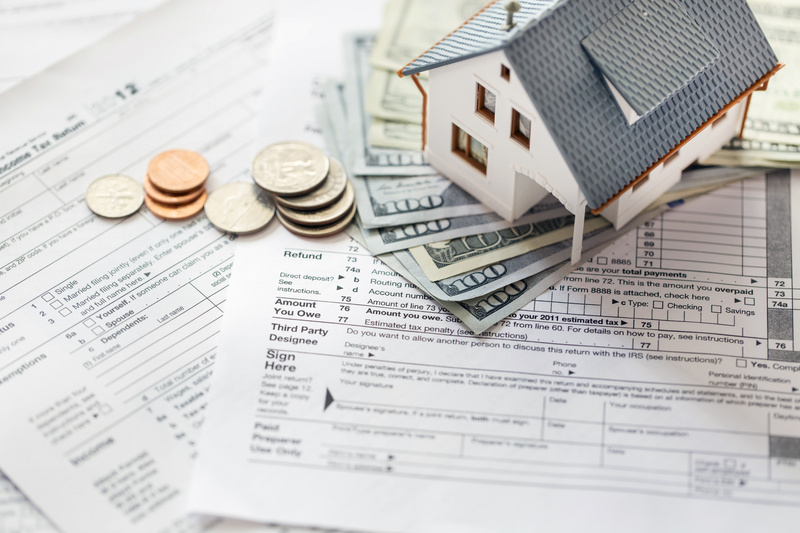 There’s the obvious income you’ll receive from tenants living in your rental property, but there are also numerous tax benefits and deductions you can take on rental property. This includes depreciation, which works a little differently than the rest, but can still be very beneficial. The Hakola & Associates team is here to fill you in! 1. You own the property and are considered the owner even if the property is in debt. 2. You use the property in your business or as income-producing activity. 3. The property has a determinable useful life. This means that it wears out and decays over time and loses value from natural causes. 4. The property is expected to last more than one year. Therefore, your investment property must be a structure that decays over time rather than just land, which does not depreciate. Landscaping or clearing on the land cannot be depreciated either. You can begin depreciating a rental property once it is advertised and ready to be occupied, and you can continue depreciating until you deduct the entire cost or other basis in the property, or you retire the property from service. How much depreciation you can claim on your Orange County rental property depends on many factors, including the basis in the property, the recovery period and the depreciation method used. Any residential property placed in service after 1986 uses a technique that spreads costs and depreciation deductions over 27.5 years. 1. Determine the basis of the property, which is the amount you paid, settlement and closing cost fees, any amount the seller owes that you agree to pay, title insurance and more. However, depending on the situation, some settlement and closing cost fees cannot be included in your basis. 2. Separate the cost of land and buildings, since you can’t depreciate the land value. Use the fair market value of each at time of purchase, or base the numbers on the assessed real estate tax values. 3. Determine your basis in the house, and the adjusted basis, if necessary. 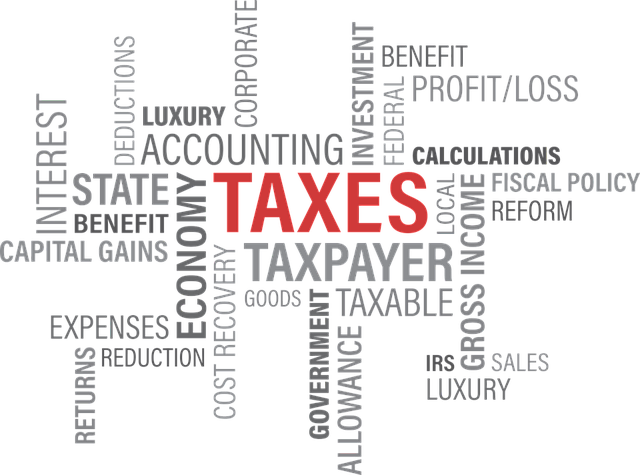 It is wise to use professional assistance from a tax accountant when determining these numbers! Then you must decide which system you will use for depreciation, the General Depreciation System, or GDS, or the Alternative Deprecation System, or ADS. More details can be found in this Investopedia article. If you have questions, or you would like professional assistance with purchasing investment property, 1031 exchanges or any other real estate endeavor in the Orange County real estate market, contact us! The Hakola & Associate Team is here to help you accomplish all of your real estate goals this year.